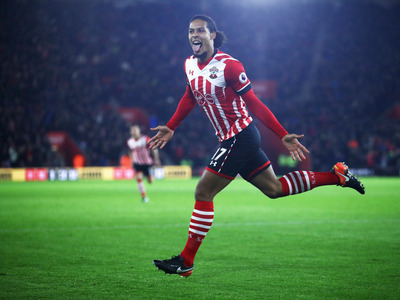 Getty ImagesSouthampton defender Virgil van Dijk has joined Liverpool FC in a club record deal. Liverpool FC took extraordinary measures to sign Virgil van Dijk. The club was paranoid of getting gazumped by Manchester City so it made an emergency midweek flight, broke its own transfer fee record, and gave the defender a huge salary. Van Dijk will leave Southampton to join Liverpool on January 1. Liverpool FC took extraordinary measures to sign Southampton defender Virgil van Dijk. Over fears it could get gazumped by Premier League rival Manchester City, Liverpool made an emergency flight, broke the club transfer record, and handed van Dijk a wage worth £9.36 million ($US12.5 million) per year. Though Liverpool was seemingly only willing to go as high as £60 million earlier this year, the club met Southampton’s valuation of £75 million ($US100 million) to get the deal over the line as quickly as possible. This fee smashes the previous record Liverpool paid when it signed £48 million midfielder Naby Keita, who will join the club on July 1, 2018. The £75 million figure also makes van Dijk the most expensive defender of all time. Liverpool has additionally handed van Dijk a handsome £180,000 ($US240,000) per week salary. These measures have been taken to ensure it fends off any interest from rival clubs – Manchester City in particular. Though City boss Pep Guardiola may insist otherwise, van Dijk was thought to be a high-interest target in the upcoming transfer window. Regardless, van Dijk will transfer to Liverpool when the winter window formally opens on January 1, 2018.